This is the memoir of James C. Hormela man who grew up feeling different not only because his family owned the Hormel empire” and lived in a twenty-six-bedroom house in a small Midwest town, but because he was gay at a time when homosexuality was not discussed or accepted. Outwardly he tried to live up to the life his father wanted for himhe was a successful professional, had married a lovely woman, and had childrenbut as vola-tile changes in the late 1960s impeded on the American psyche, Hormel realized that he could not hide his true self forever. 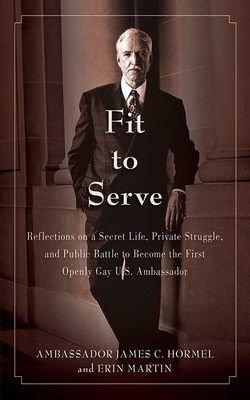 Hormel moved to New York City, became an antiwar activist, battled homophobia, lost dear friends to AIDS, and set out to become America’s first openly gay ambassador, a position he finally won during the Clinton administration. Today, Hormel continues to fight for LGBT equality and gay marriage rights. This is a passionate and inspiring true story of the determination for human equality and for attaining your own version of the American Dreamlife, liberty, and the pursuit of happiness without exception.